Putty is a stretchable and moldable material that you can use in a variety of ways such as craft projects, home projects and for securing objects. Different types of putty work better for different applications. Some putty serves as a toy for kids, while other putty can cover cracks in floors and walls. In addition, you can paint some home improvement putty to match its surround area. When reviewing putty, consider the reason you need putty to determine the best material for your task. Home improvement putty can stick to the walls. Most people know Silly Putty as a children's toy that even adults enjoy. However, the researcher James Wright invented Silly Putty while working for General Electric. It was a mixture of silicone oil and boric acid. Silly Putty stretches and bounces like a ball. It has the ability to float when shaped in a particular manner, while in other shapes Silly Putty sinks in water. When you press it on newspaper, comics or pencil marks on paper, Silly Putty picks up the marks. Collectors and museums opt for small balls or strips of putty to secure valuable items such as vases, pottery and figurines to flat surfaces. This type of putty is a removable, temporary adhesive that sticks to the bottom of an item. The putty prevents your valuables or important items from falling to the floor and breaking. Though museums and collectors use museum putty, it also works in residential homes and secures picture frames to walls. You can purchase museum putty from home improvement stores, crafts stores or organizational stores. Some brands of museum putty include Quakehold and Collectors Hold. You can find putty to use for home projects at home improvement stores. This type of putty can be can molded into any shape you want and offers a long-lasting bonding property. Some putty can help seal leaks on pipes, fill holes in broken tile floors and seal cracks in walls. Another type of home improvement putty is wood putty. 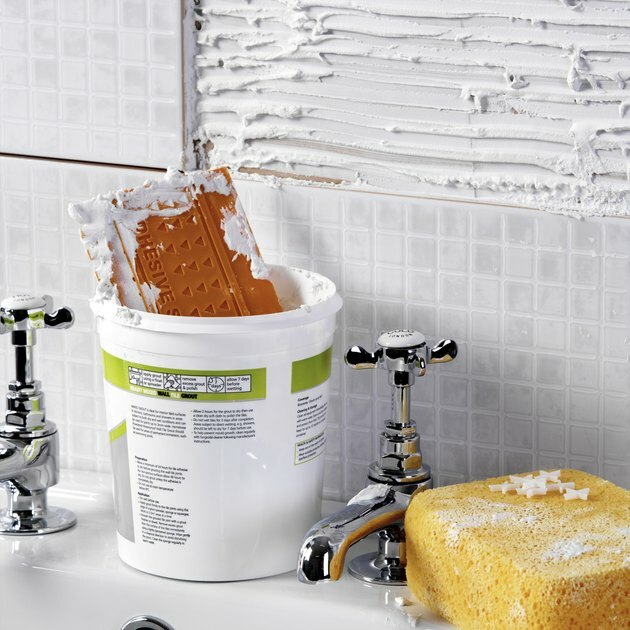 It works well covering imperfections and cracks in stained, finished or bare wood furnishings. Some people opt for molding putty to make molds for food, soaps, resin, clay, wax and a host of other items. You can have a mold for your craft within 30 minutes. Some molding putty does not need mixing or any other type of equipment for preparation. After you make your mold, you can continue to use the mold to make replications of your original work of art. Kyla Chele Cambrooke has written content and radio commercials since 1999. Her work appears on Real Beauty, Dexknows WEDDINGS and Bed & Breakfast Inns Online. She has been a part of "S.I. KIDS," "People en Espanol," "Association Meetings" and "Stitch." She covers beauty, footwear, weddings and accessories. Cambrooke attended the University of Maryland in the Bachelor of Arts program focusing on communication studies. Can I Soften Plumber's Putty in the Microwave?